To make your stay even more unforgettable, we elaborate the romantic itinerary package. Romance and charm will not miss on your trip. The honeymoon or wedding anniversary for the couple symbolizes the beginning of a new cycle and as such needs to be perfect so that it is always remembered as a moment of happiness. With excellent restaurants, beautiful scenery and exciting attractions, Serra Gaúcha will be your destination during this vacation. The complete Serra Gaúcha package has the best cost / benefit in lodging in the Serra Gaúcha. 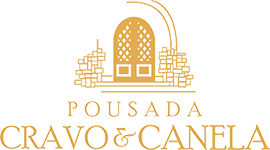 In Serra Gaúcha nature offers the ideal conditions for those who want to face challenges and overcome their personal limits, and then to enjoy all the privacy, refinement and comfort of Pousada Cravo & Canela.